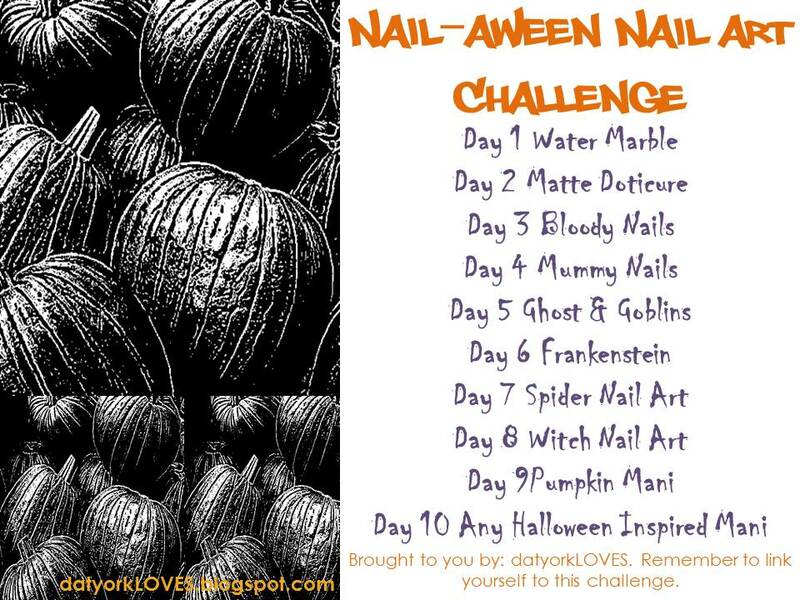 Day 6 of the Nail-aween Nail Art Challenge from datyorkLOVES/SassyNails brings me to Frankenstein. There are 10 themes, and I have to complete all of them by the end of October, but other than that, it’s self-paced. I looked around the Interwebs for ideas and saw lots of really cute Frankenstein faces that I liked a lot. But I wanted to try to contribute something a little different to the conversation. 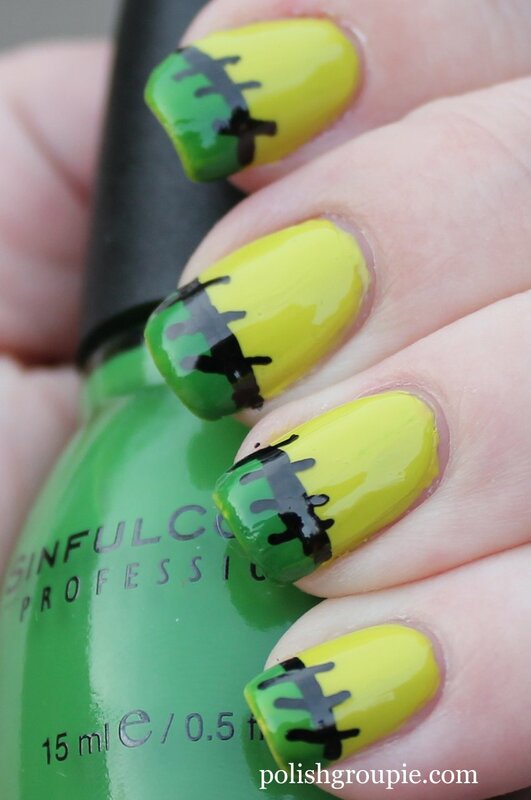 I really liked this patchwork manicure that Fancy Schmancy Nails did for the Nail-aween challenge, and my original thought was to do something similar but only using shades of green. The idea of morphing it into Frankenstein French tips came to me after that. I searched around a bit and didn’t find anything that looked like this, but let me know if you find it elsewhere. 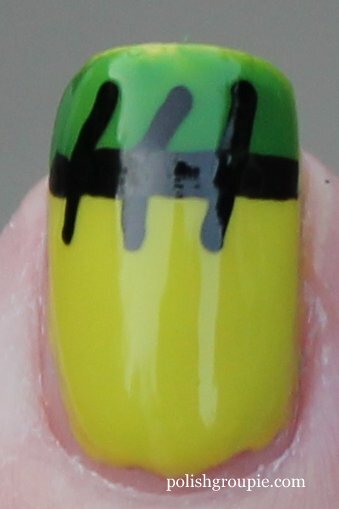 For the base color, I used three coats of Color Club Tweet Me, a chartreuse creme (not the greatest formula, as I discovered doing this retro wallpaper nail art). I added one coat of Poshe fast-dry top coat, and then taped off the tips and added a thick coat of Sinful Colors Exotic Green. 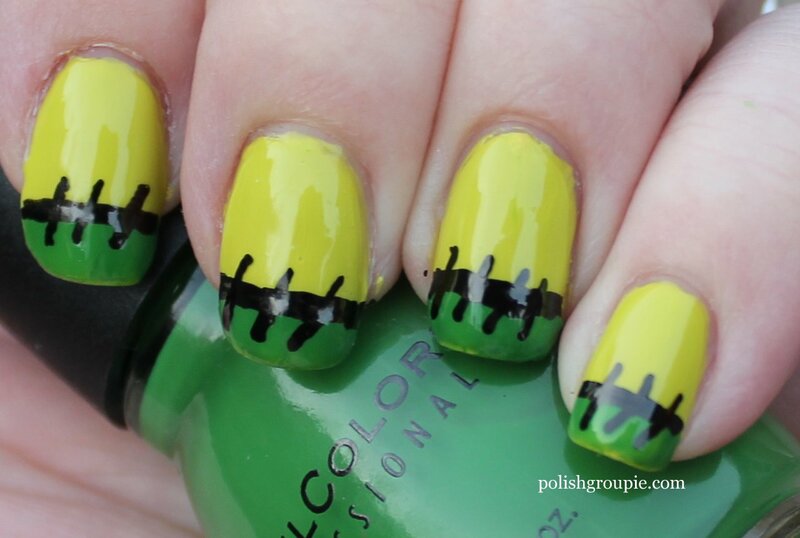 I added another coat of Poshe, and then used a Kiss Nail Artist pen to draw the stitches. Simple Halloween nail art, but I was happy with the way they turned out.